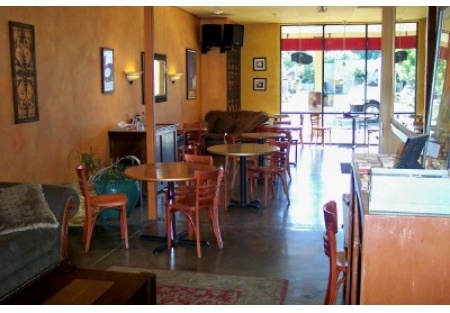 The price is right on this one...Located on a very busy street in Chico this turn-key (Easy to Manage) Coffee House offers a limited selection of pastries and sandwiches. The store is located in a strip center with a strong anchor next door. Currently owner operated this store needs an owner to bring it to the next level by possibly expanding to lunch and catering. Currently closed in the evenings a new owner could extend hours to offer light dinners. This 1200 Sq Ft facility rents for $1282 plus .41 a Sq Ft for CAM/NNN combined. Currently the restaurant seats 22 inside and 6 outside with potential for more. TAKE THE NEXT STEP. Select the bright orange button below title "want name and address." Register if you're a new client. Then get the name and address by agreeing to the confidential agreement. This will also place you on our exclusive Buyer's e-mail list, giving you first look at our new listings. This is a Paramount Restaurant Brokers, Inc. DBA SellingRestaurants.com listing.